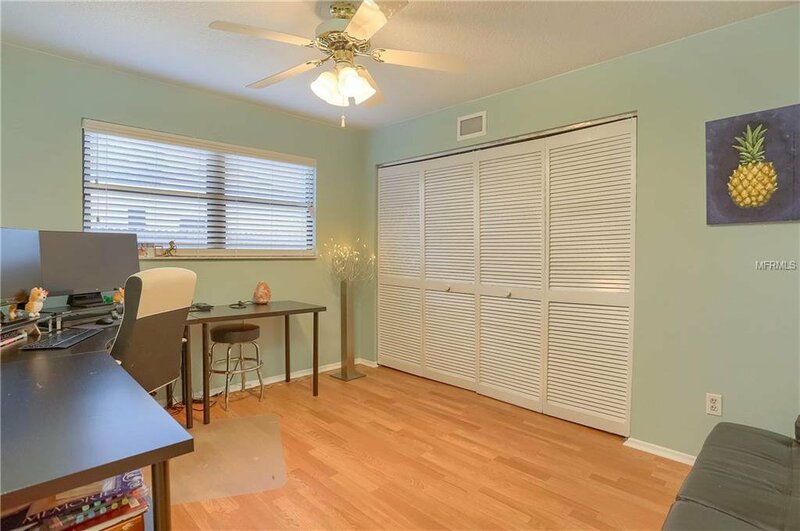 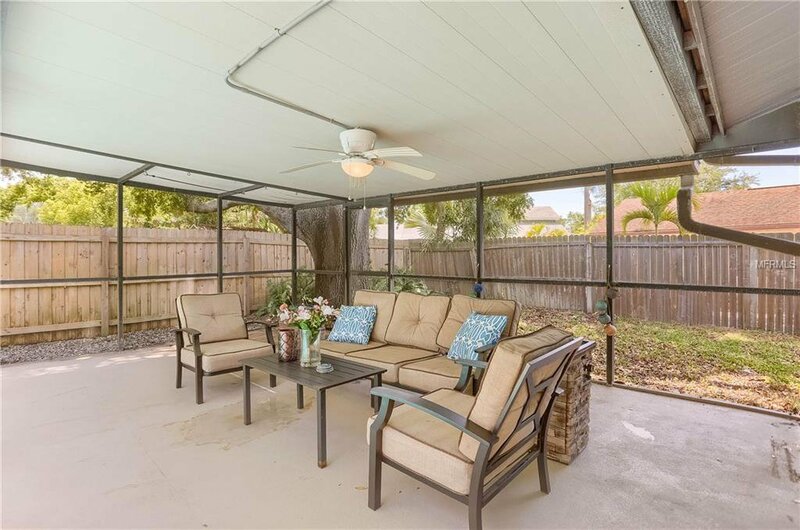 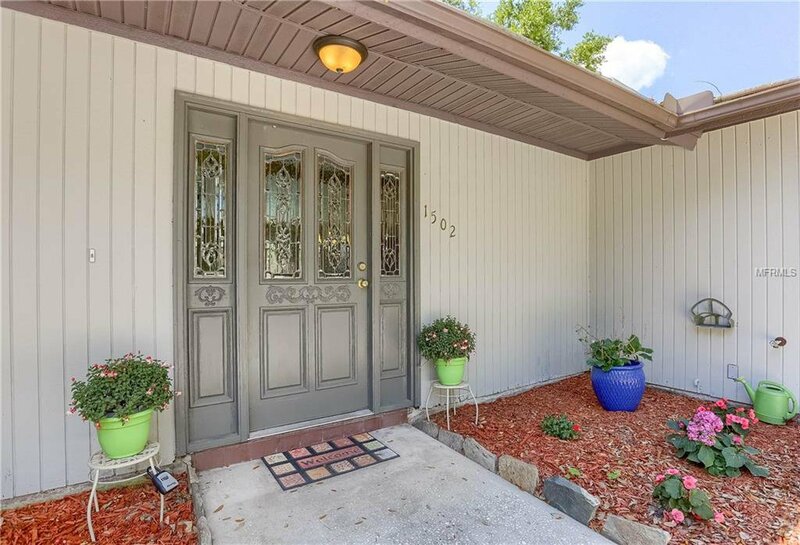 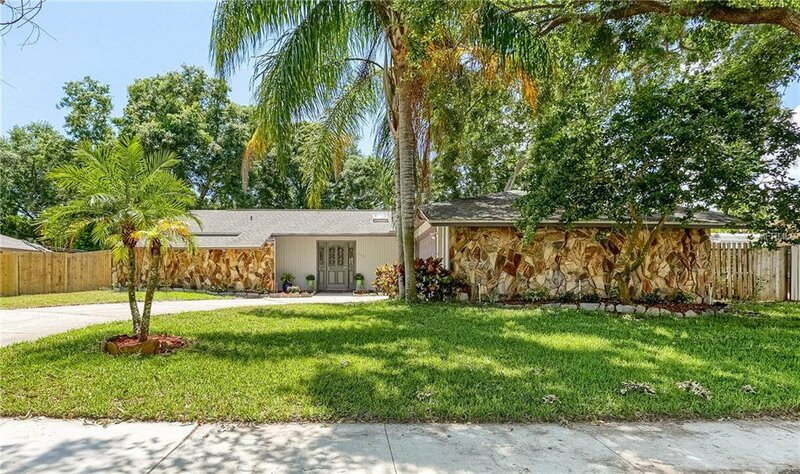 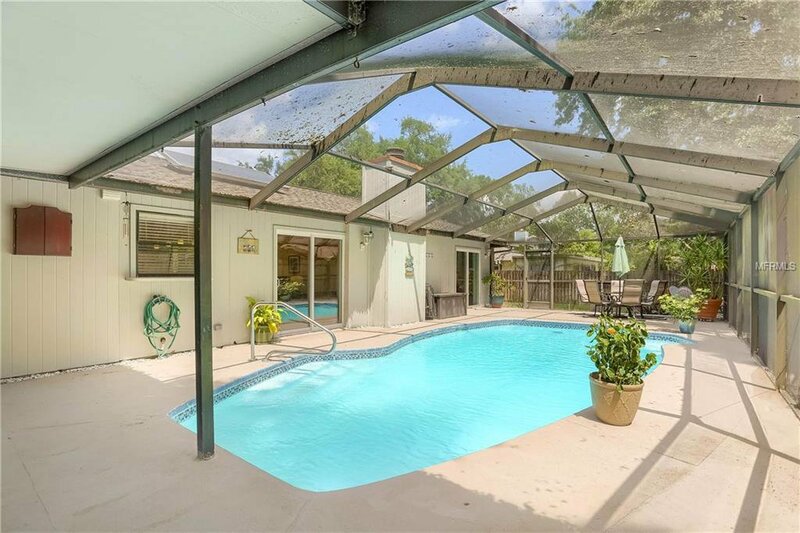 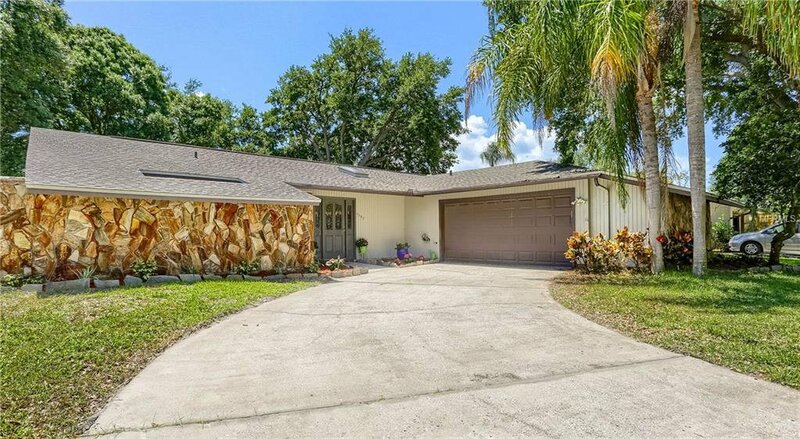 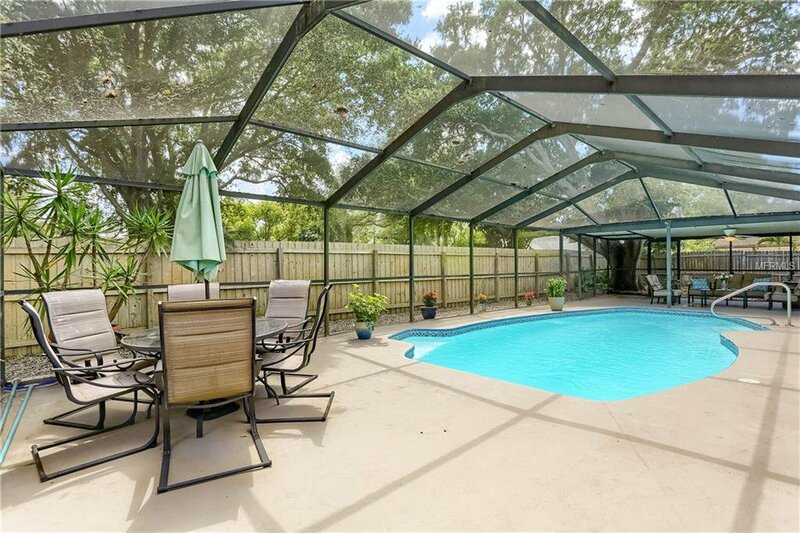 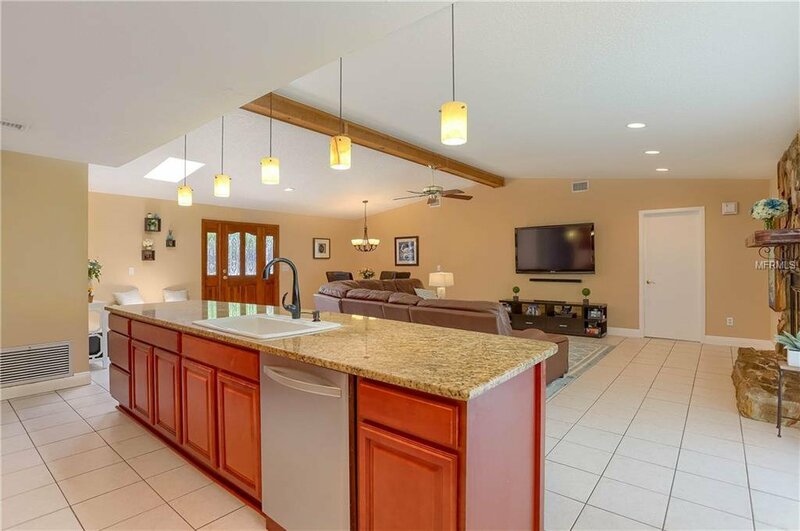 This beautifully maintained move-in ready home is located in an inviting neighborhood on a large lot that boasts a pool and a two-car garage with workshop. 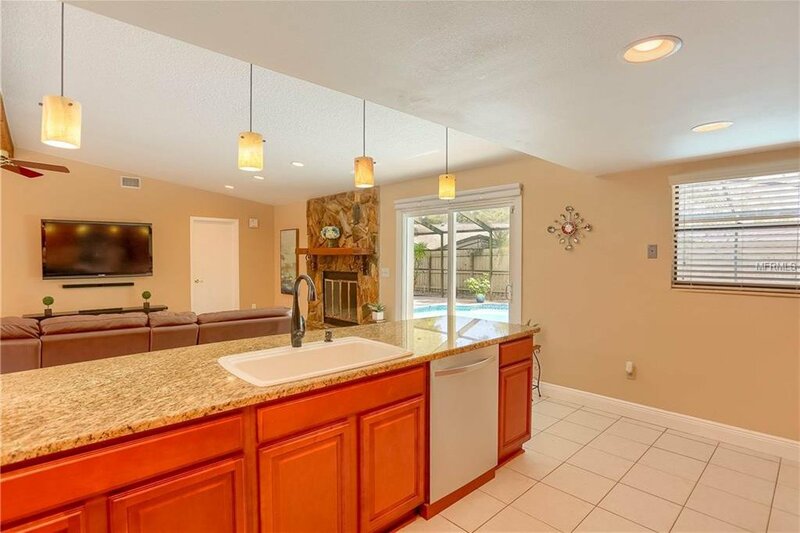 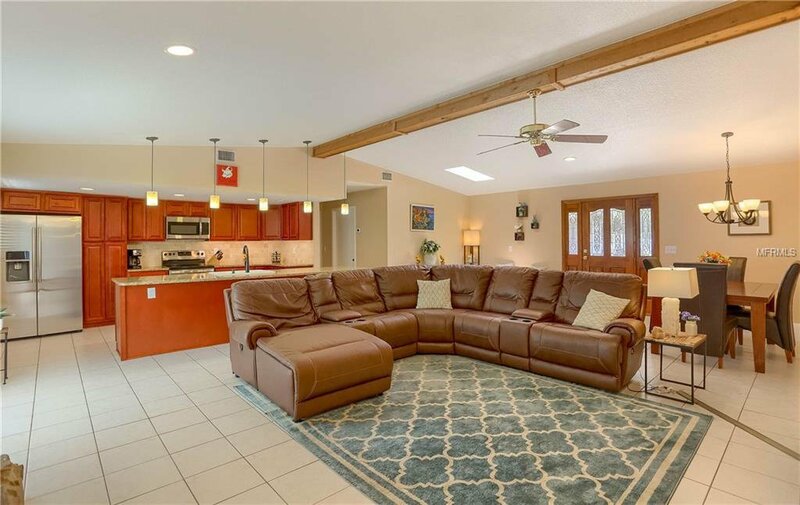 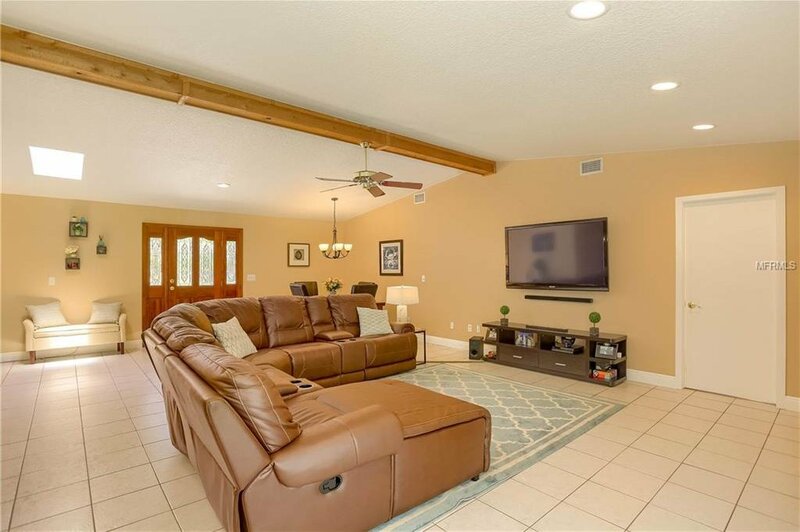 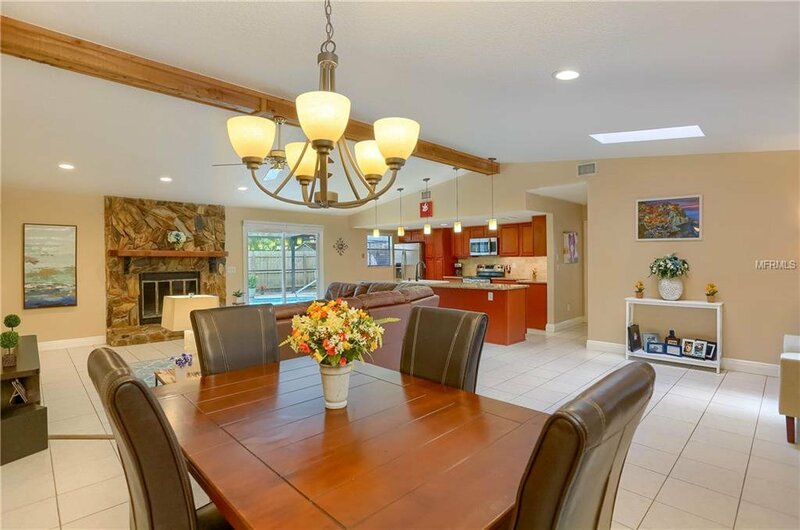 Upon entering this spacious home you will be greeted by an open floor plan with plenty of natural light and a view of the backyard and pool patio from the kitchen and main living areas. 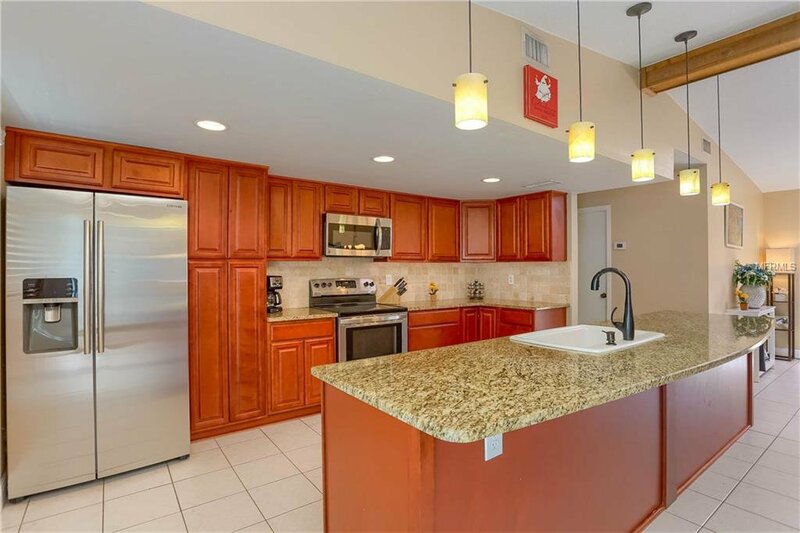 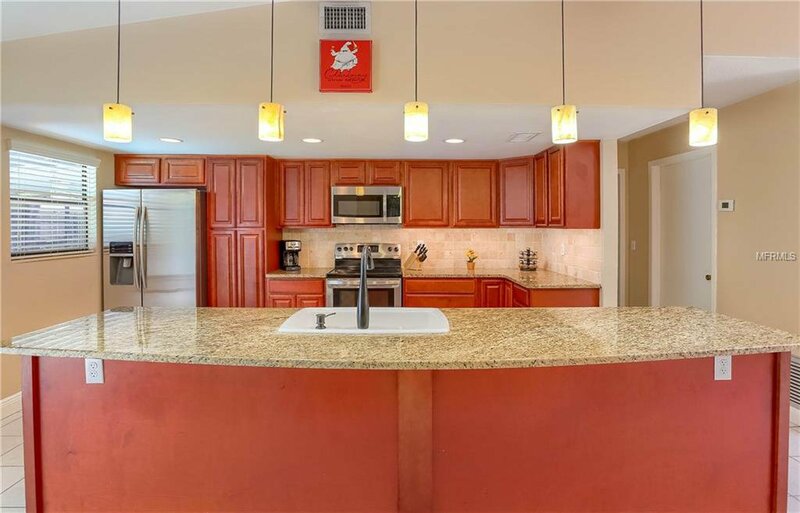 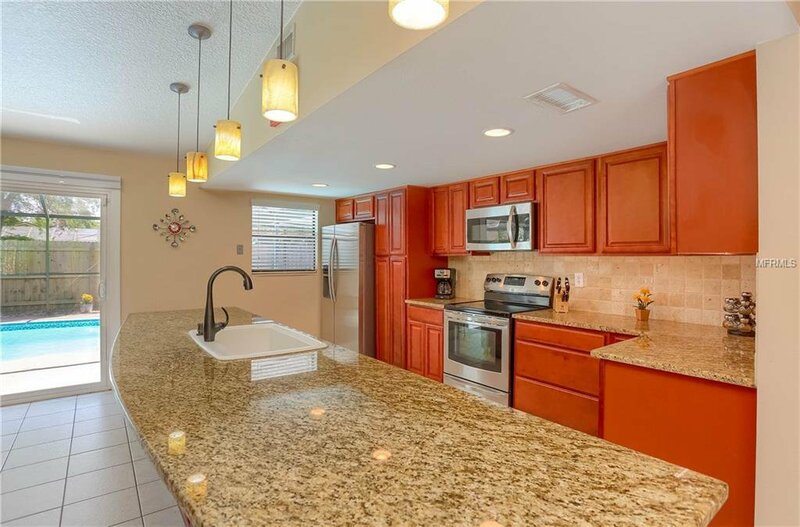 The updated kitchen provides an abundance of cabinet space, granite counters, pass through to the patio, new lighting, stainless steel appliances, and a large island looking out to the living area. 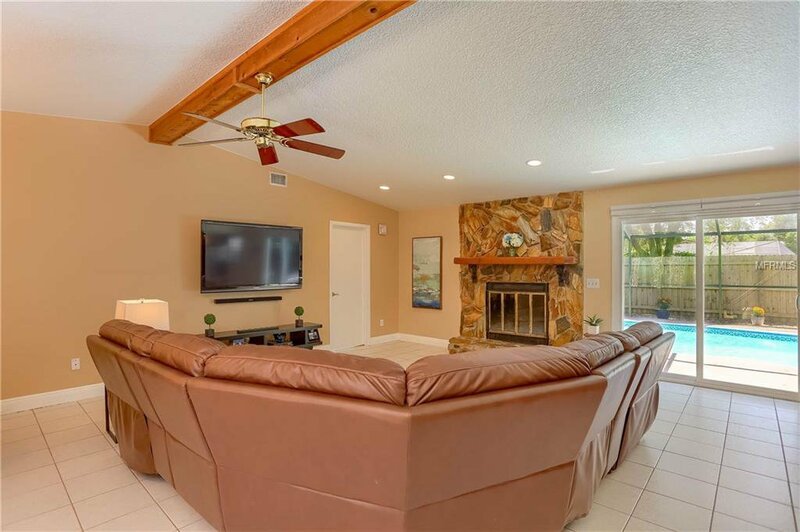 In the spacious living room you will find flexibility for furniture arrangement and a cozy fireplace that creates a focal point for the room. 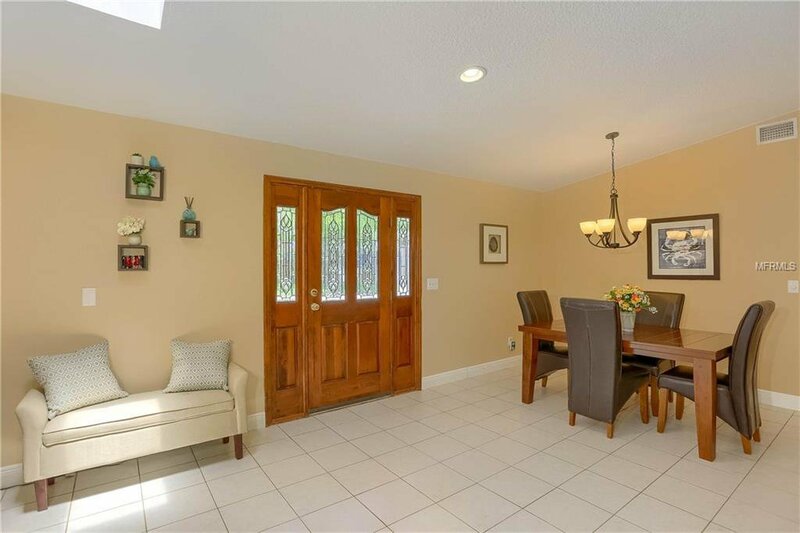 Additional space with new lighting can be used for a separate dining area perfect for family gatherings. 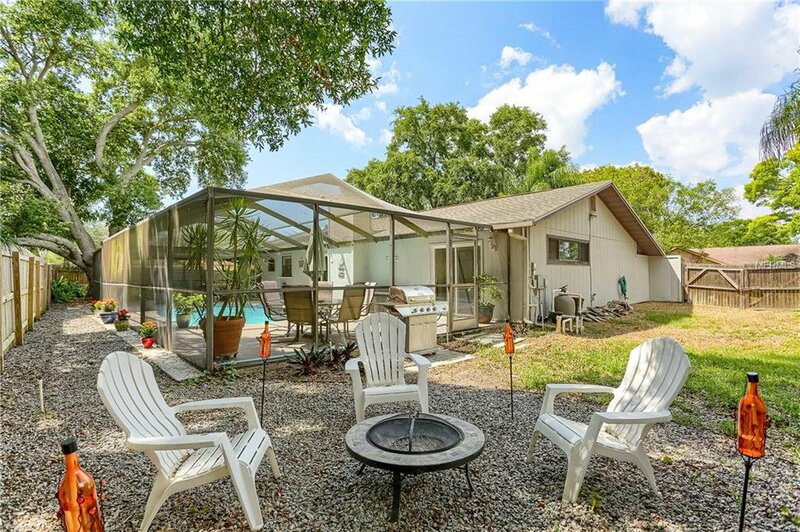 Sliders from the living area transition to the caged pool and patio area to easily enjoy the outdoors. 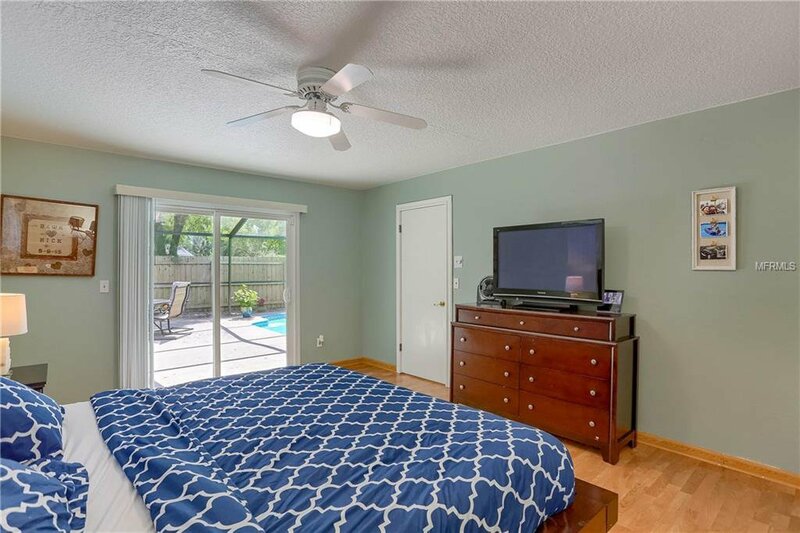 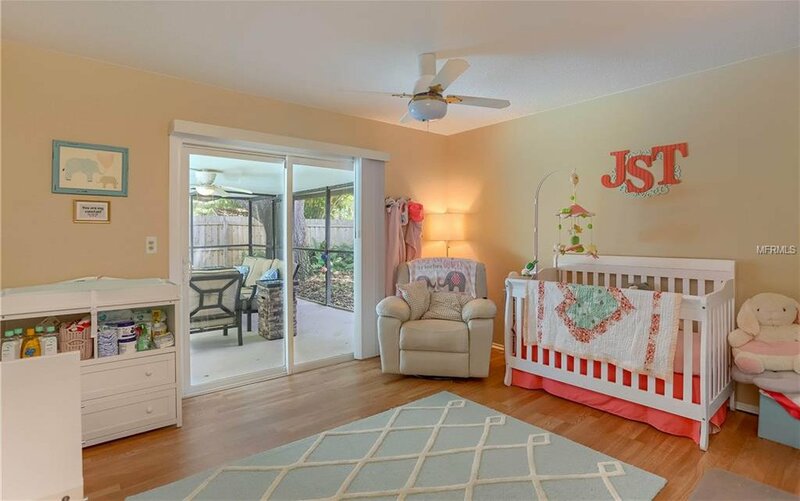 Off of one side of the living area is a spacious master suite complete with additional sliders to the pool patio, a walk-in closet, and an updated en-suite bathroom. 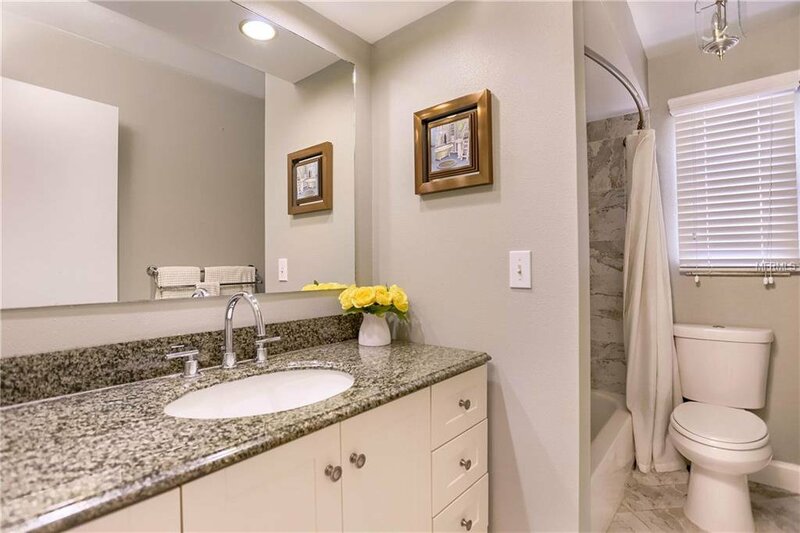 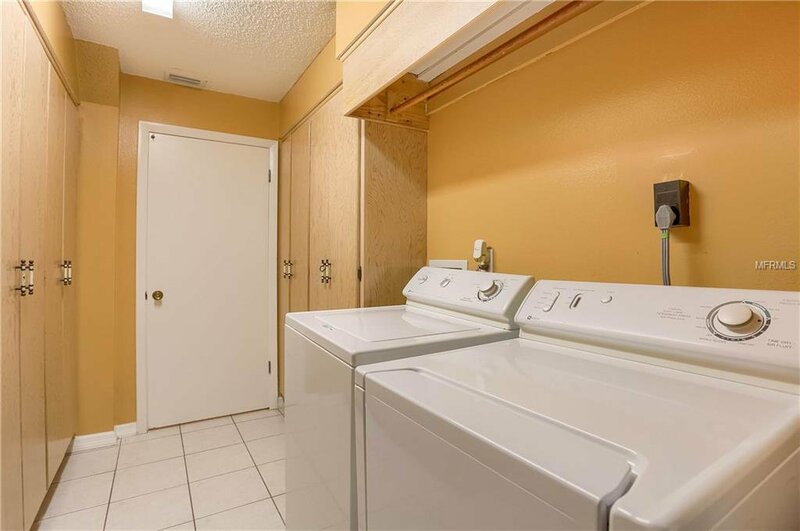 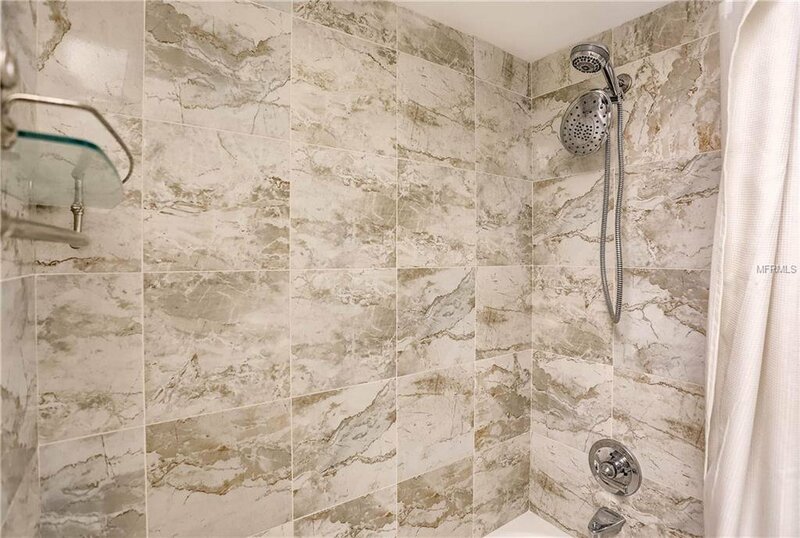 From the other side of the living area you will find access to the interior laundry room with additional storage and a hallway leading to two large guest bedrooms and a guest bathroom. 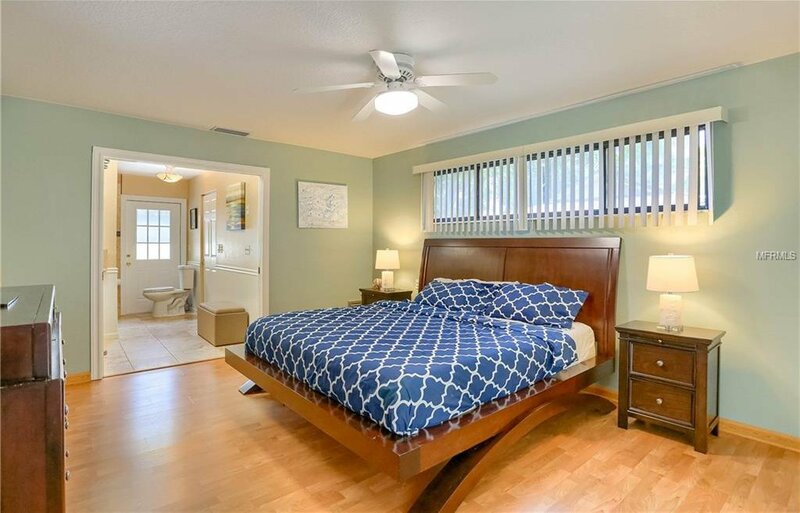 Both guest bedrooms offer large closets and plenty of light. 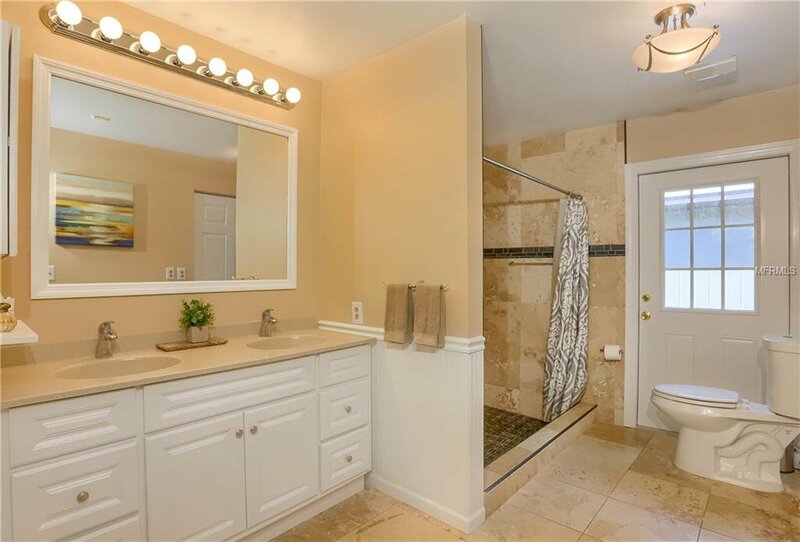 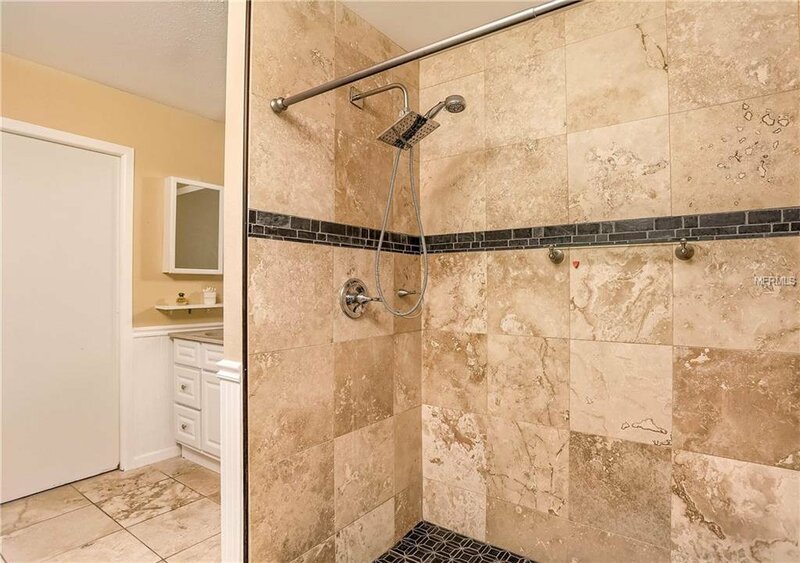 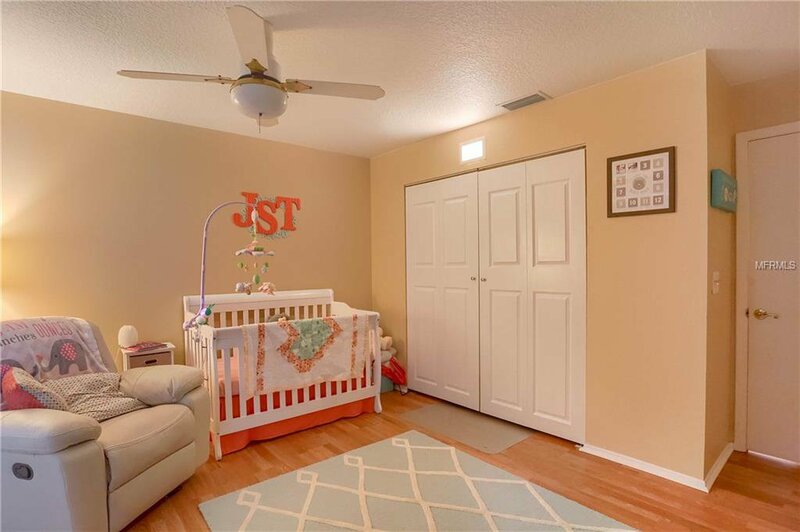 In addition to a family friendly floor plan, this home also comes with new features; roof, electrical panel, AC, pool pump, refinished ceilings, and much more. 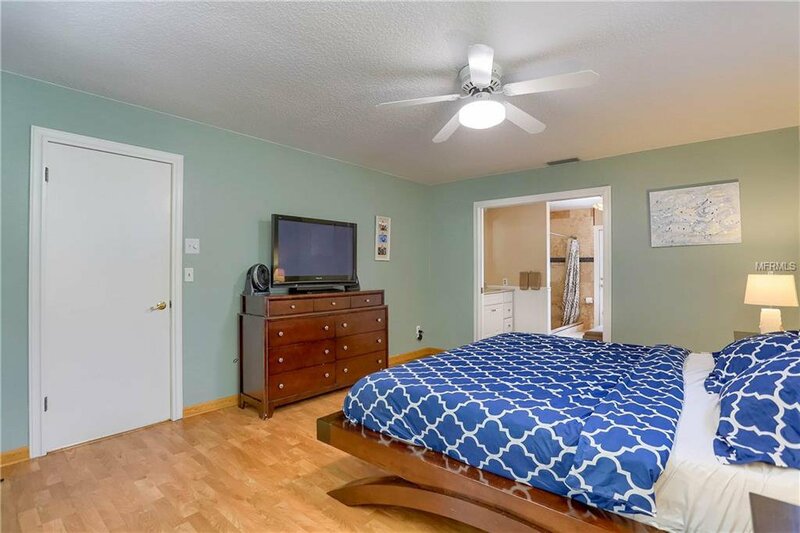 All appliances, washer, dryer, and a mounted 60’ Sharp TV included.